I love shoes. Shoes with heels, shoes without heels, shoes with straps, shoes without straps, and so on and so forth. 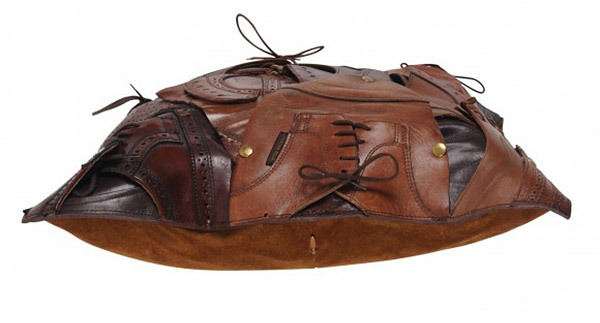 But despite my immense love for footwear, I can spare little to no love for this $1,200 shoe-inspired throw pillow. 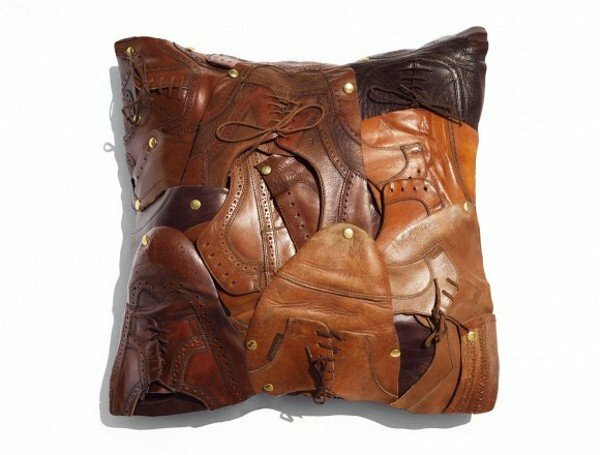 The pillow presents a patchwork design of various men’s shoes in different styles and colors. Each of these throw pillows are sown by hand with a suede backing and buffed to a shiny finish with loads of was and polish. It might be of more value to view “The Little Shoes” throw pillow as a work of art than a usable and comfortable throw pillow, since each one is signed by the artist and comes wrapped in a vintage silk scarf. 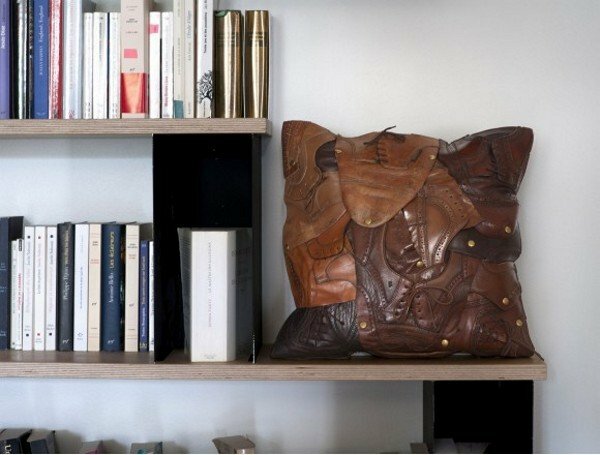 It’s also more of art than a practical choice for a throw pillow, given its $1,200 price tag. In the event that you want one for yourself, you can get it online at Yellow Velvet. Or you could choose to wear your shoes on your feet.